Welcome to Seastyle Diving, which is located in the city of Worcester. Seastyle Diving was established in 1972 and our focus is always to offer the highest quality in diver training, sales, servicing, escorted dive trips and holidays. Seastyle Diving is a PADI 5 star dive centre. We provide training from try a-dives to instructor including many specialities. Our experienced dive team provide a professional and friendly atmosphere in which to learn to dive or continue your dive education. We have a fully equipped workshop, so we can offer on site regulator & BC servicing, drysuit and wetsuit repairs. We also provide a cylinder testing service by an IDEST approved test house. Our technician has been servicing for over 30 years and is authorised to service the leading brands. 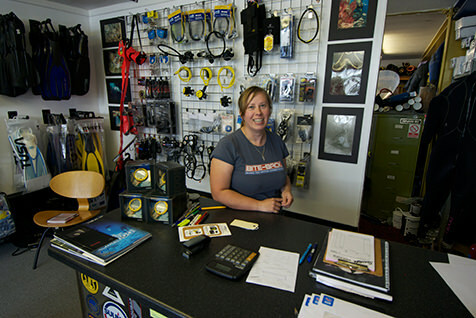 Our dive store was re-fitted in March 2011 and is fully stocked with many of the leading brands. Air fills are available to 300 bar and nitrox is also available. If you are looking for a centre to dive with Seastyle Diving have a regular dive schedule offering UK and warm water trips and holidays we also run a dive club.